We tend to lose data in our lives at some time. Anything can happen, our system’s hard drive may fail some day, but ransomware has the ability to secure your files, or any software bug can easily delete your files. It’s important to regularly back up your PC or you will lose your files forever. Backups are not that confusing or hard as we think, though. You must have heard of countless ways of backups, but you must try the right one. Since they way you will understand what files are important for your back up. Its obvious that you should know what you need to back up? Well, firstly its important that you back up all your personal data and files. Its easy to reinstall an operating system and put programs again in if the hard drive fails to work, however, your personal data wont get replaced. All your personal data, photos, documents, videos, and other files on your PC must be backed up at regular intervals. Those will never get replaced. In case you have spent good time in rippingCDs and DVDs, its important that you back up those files too, so that you dont waste time on that again. You can also back up programs,operating system, and settings . If you want to make your life easy and play with files, edit them, and update on regular basis, then have a full system backup to save your time when something goes bad. External Drive Back Up: with a n external USB drive it’s easy to take the back up of your files using PC’s built in backing up features. 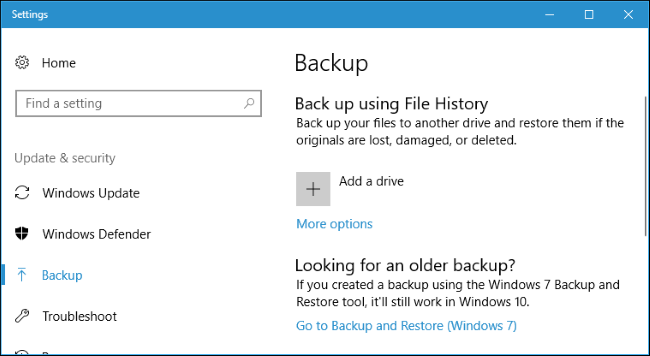 If you are using windows 8 or 10, use File History, for windows 7 you should use Windows Backup and for Mac you may use Time Machine. Mostly, you take the back up by connecting the drive to your computer and allowing the backing up tool to work or let it be inside so that it can back up easily automatically. Pros: Back up is fast and cheap. Cons: In case of any accidents at your home or robbery, the backup can be misplaced which isn’t good at all. Back Up on Internet: For keeping your files safe you must back up them on the internet using services such as Backblaze. This is a popular backup service online that we recommend because CrashPlan is not serving home users anymore, but there’re also competitors such as Carbonite as well as MozyHome. For a monthly fee as low as $5, these programs will run in the PC’s or Mac’s background automatically for backing up files to its web storage. If you lose any file and need it again, restore it. Pros: Online backup helps as a protection against any data loss through hard drive failures, thefts, natural disasters, and anything else. Cons: Such services ask for money, and its initial backup may take longer than an external drive, especially for loads of files. Using Cloud Storage: Rather than only storing files on a hard drive of your computer, now it can be stored Dropbox, Microsoft OneDrive, Google Drive, or any cloud storage. They automatically sync everything to your account online and PC. Pros: It is a fast, easy and sometimes free method since everything is online. Cons: These cloud services offer very little space of gigabytes for free, hence it will work only you have less files to back up or else you will have to pay for getting extra storage. While Backblaze and Dropbox are online backups but they work in different ways fundamentally. Dropbox is sync the files between 2 or more PCs, on the other hand Backblaze backs up large files in large amounts. Backblaze keeps multiple copies having various versions of the files to be able to restore the file same exactly how it was. Dropbox is free only if you use small amount of its space, Backblaze has low price for big backups or as you like. But remember, Carbonite and Backblaze have a big limitation that if a file gets deleted on a computer, it gets deleted from the online backup after 30 days. It means you cannot recover a deleted file after 30 days of deletion; hence you will have to be very careful about this! Ideally, use two at least because you can have an offsite as well as onsite backup then. “Onsite” means backups that get stored at one physical location. So, you can store to some external hard drive and save that at your home on your PC, this means onsite backup. Offsite backups mean storing at a various locations. So, Dropbox or Backblaze or are used for offsite backups. Keep in mind, onsite backups will always be faster as well as easier, and you can easily restore lost files from any external drive. However, don’t rely only on your onsite backups. If there’s some accident at home or hardware gets stolen, you’d lose your files. Offsite backups don’t always mean that you upload files to internet; it could also be that you keep the external hard drive to your friend’s or relative’s house or your office. Technically, even this is offsite backup method. Similarly, storing files is also possible in OneDrive, Dropbox or Google Drive and you can also perform a regular back up to your external drive as well. 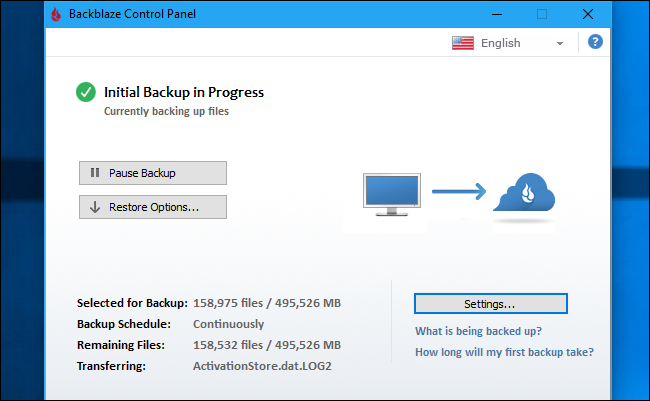 Backblaze and Windows File History are also great back up service online. You will find many ways to utilize these services; however it’s up to you that how use it. Make sure you have a good back up strategy for onsite as well as offsite backup for your PC. Everything looks complicated but it isn’t that at all. Just automate the backup system so that you are able to get the backups frequently. Copying files manually will take good amount of time, hence just do the set up and relax. That’s why Backblaze can automatically perform backups every day. Avoid plugging of your external drive and taking backups manually because eventually you will stop doing that and get fed up. Keep everything automatic and it’s worth the cost. If you do not want to shell out money then try out Google Drive, Dropbox or Microsoft OneDrive for synchronizing your files online. In case you lose any file at least you have a copy saved online. Ultimately, think about your files and ensure to have multiple copies. Ideally, keep those copies in one or more physical locations.